Hage estimates his company can build a high-quality school at half the cost of traditional public schools. Glass walls — with mics and speakers — at Governor’s Charter Academy allow observers to see and hear what’s going on inside. 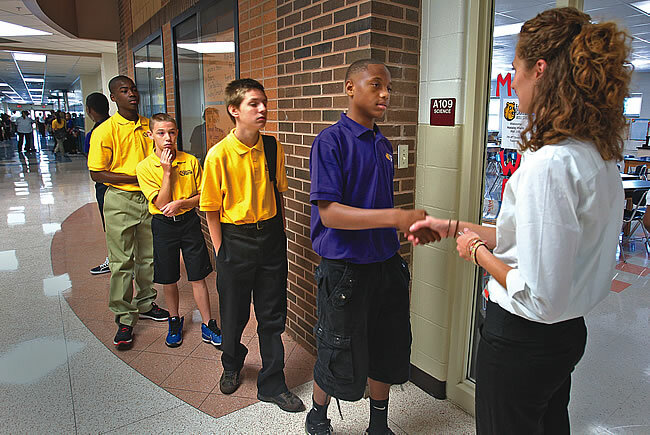 Emma Donnan Middle School in Indianapolis was one of three schools Indiana handed over to Charter Schools USA for management. Students at schools operated by Charter Schools USA must follow a dress code. Some schools have extended hours, including classes on Saturday. 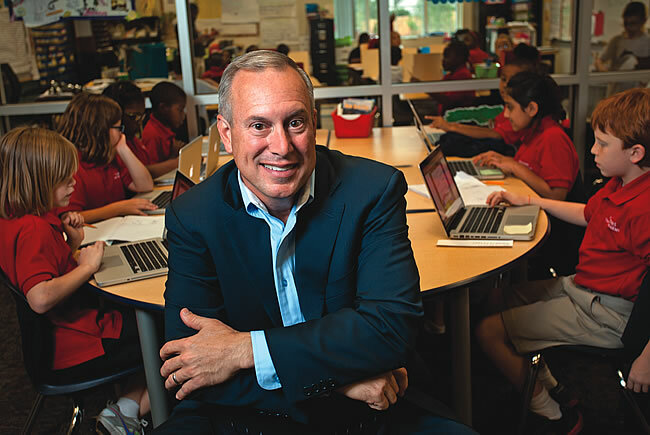 This year's Floridian of the Year has parlayed his experience as an education policy wonk into one of the fastest-growing for-profit charter school management companies in the nation, Charter Schools USA. His company and the state are firmly astride a still-controversial national surge in charter school formation — in 2012, one in 17 Florida students attended a charter school. 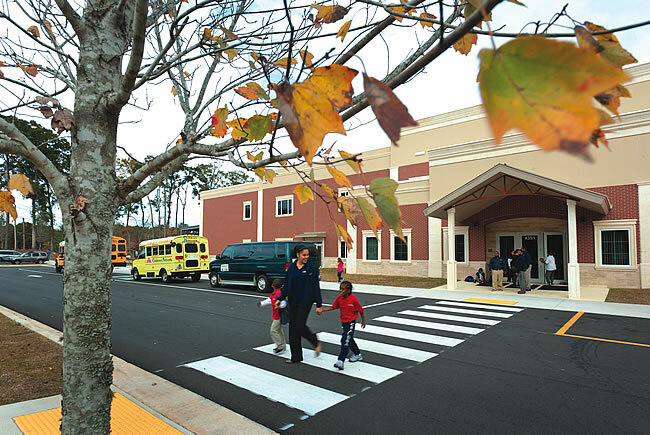 Six miles northeast of the Capitol in Tallahassee is the Governor’s Charter Academy, a $11.4-million public school that opened in August with 515 students in grades K-6. Family: Proposed to his wife atop the Washington monument. He had known her since the third grade. Sherry Hage now works at Charter Schools USA as chief academic officer. The school was designed to be tour-friendly. Classrooms have glass walls, microphones and speakers so that someone standing outside the room can see and hear what’s going on inside: The principal can observe a teacher in action, for example. And a disruptive student removed from the class can still hear a lesson while sitting in the hallway. Sixth-graders learn on iPads, and teachers use Apple TVs and laptops. “We designed things here that we thought would be innovative,” says Jonathan Hage, CEO of Fort Lauderdale-based Charter Schools USA, which built and manages the school. 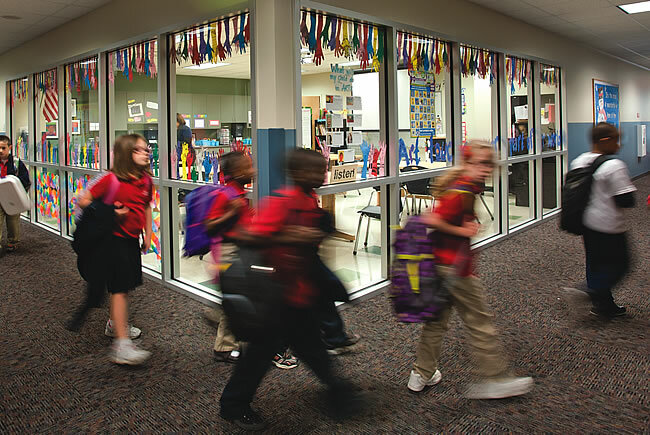 Innovative — and also highly visible to nearby state legislators, whose support is vital both to the firm’s growth and to Florida’s role in the charter school movement. Nationally, the number of charter schools has grown from about 1,540 in 1999 to 5,613. In Florida, there are now more than 570 charter schools, and the number of students attending charters has increased by a factor of six in the past decade. 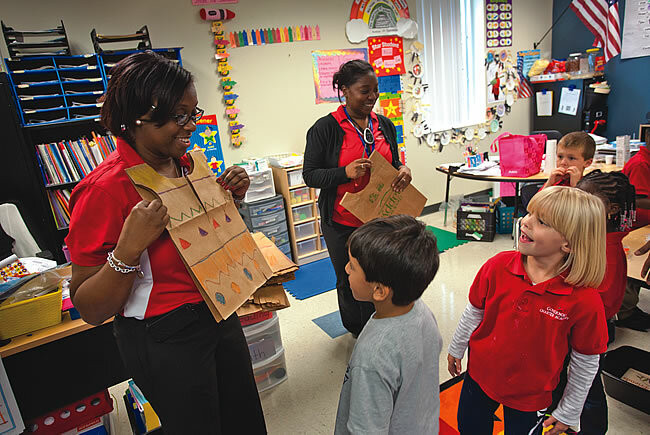 In 2012, more than 200,000 Florida students — one in 17 — attended a charter school. Ownership: Hage owns 95% of the company. Early investors — including Jonathan Mariner, former CFO for the Florida Marlins and now CFO for Major League Baseball, and Fort Lauderdale car dealer Phil Smith — own the other 5%. Notable: Charter Schools USA is the largest seller of charter school bond debt in the country. It will sell $100 million worth of bonds this year, Hage says. Most of Charter Schools USA’s school buildings are built with bonds. The bonds come with tax-exempt status because they are technically issued by the non-profit founding boards that oversee the schools. Amid the trend, Hage’s 15-year-old company has staked out a leadership role. The Tallahassee school is the 37th it operates in Florida. It operates another 11 outside the state, including three chronically failing schools in Indianapolis that the state of Indiana took over from the local district and handed to Charter Schools USA this year to fix [“Turnaround”]. Hage, the eldest of three brothers, grew up in middle-class Oakland Park near Fort Lauderdale. He’s a fourth-generation Floridian; his mother gave piano lessons, and his father was a music teacher at a public high school — “the quintessential teacher, the teacher-of-the-year kind of guy,” Hage says. Academically indifferent in high school, Hage shuffled among several public and private schools, landing at Nova High School, which he describes as “a charter before there were charter schools.” He partied his way through a year at Trevecca Nazarene University in Nashville before returning home, switching to community college and enrolling in ROTC. In 1986, Hage enlisted in the Army, eventually becoming a Green Beret. The training process, he says, imparted the discipline he feels he had lacked. After graduating with a degree in political science from the University of Colorado at Colorado Springs he got a job at the Heritage Foundation in Washington, D.C., and dabbled in political campaign work, doing research for President George H.W. Bush’s speechwriters. Eventually, Hage landed a job as director of research at the Foundation for Florida’s Future, a public policy organization founded by Jeb Bush after Bush’s unsuccessful bid for governor in 1994. Bush says Hage “was a policy wonk” whose assignments included writing a comprehensive research paper on charter schools. “He was one of the most knowledgeable people on what was going on around the country,” Bush says.